It's Britain against Italy and you are the judge. 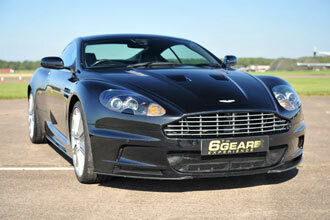 Will you prefer the beautiful looks of the Aston? 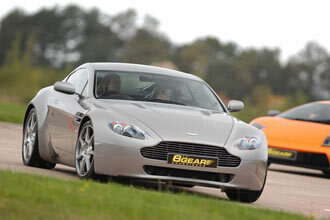 A car that James Bond drives. Or will it be the Lamborghini's sheer excitement that will rev your engine. 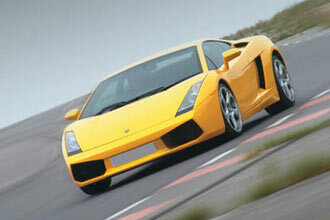 A brand known for its mad cars and the Gallardo is no exception. It doesn't really matter as you'll want to take them both home! Your day will start with a quick welcome and registration followed by a safety and technique briefing. Now its time to drive the cars you have been waiting for. Whether it's the Aston Martin DB9 or AMV8 or the Lamborghini Gallardo first, you will realise that these cars are very special. Your day will finish with a presentation of commemorative certificates which includes a driver assessment score. This experience is available on selected weekdays and weekends, from February to December. You're welcome to bring family and friends to watch, anyone under 11 must be accompanied by a non-participating adult. The maximum weight is 19 stone for all participants. The minimum height is 4ft 11" and the maximum height is 6ft 5". Anyone under the influence of alcohol or drugs will be excluded from all activities.